Legendary spinner Muttiah Muralitharan will be inducted into the ICC Hall of Fame during the Champions Trophy tournament in England, SLC announced yesterday. Murali became the first Sri Lankan to be voted into the ICC Hall of Fame last year and will be formally inducted in June. 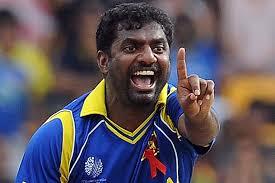 "It gives us immense sense of pride that Murali is receiving this highest honour. We are proud of him and the glory he has brought to cricket in Sri Lanka. His illustrious career demonstrates that he belongs to this highly prestigious group," said CEO of SLC, Ashley de Silva in a statement.